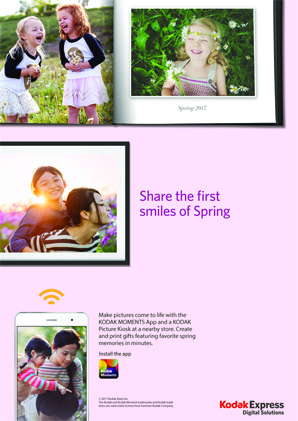 Make pictures come to life with the KODAK MOMENTS App and a KODAK Picture Kiosk at a nearby store. Create and print gifts featuring favourite spring memories in minutes. This entry was posted in Kodak Moments by Admin. Bookmark the permalink.